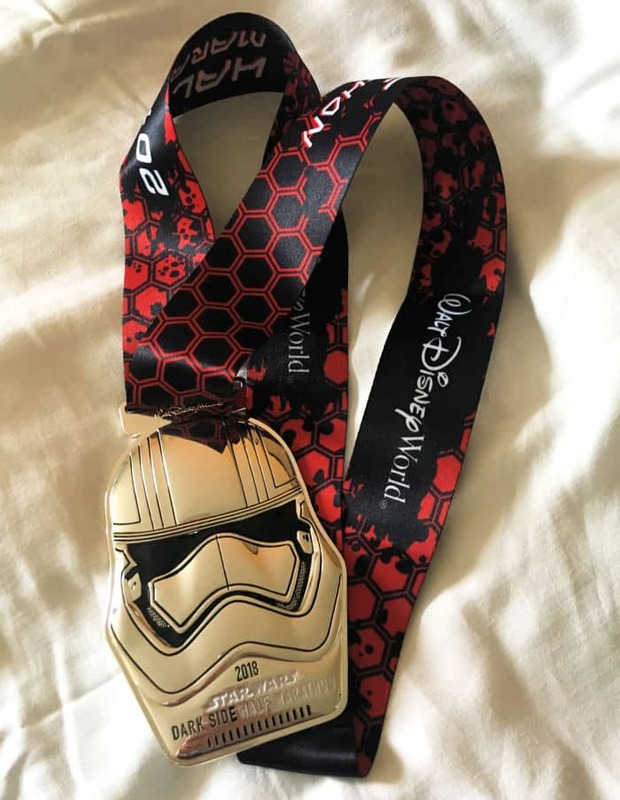 Get ready for the 2019 runDisney Star Wars Rival Run with this 2018 Star Wars Half Marathon race recap! 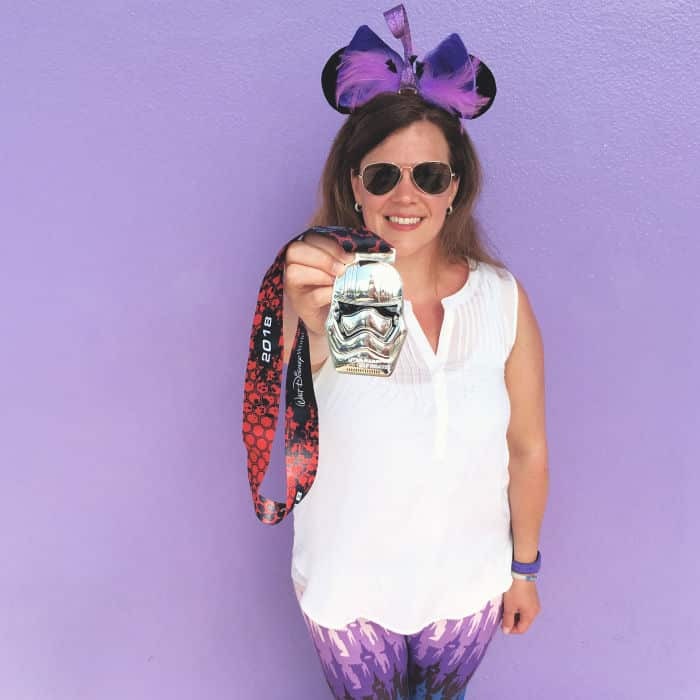 See my themed running costume, race prep, and how I celebrate Disney style. Remember that time when I was a runner? I almost typed “tried to be a runner” but I immediately realized that was silly. Just because I am not running now doesn’t mean I wasn’t running then. And boy did I run! 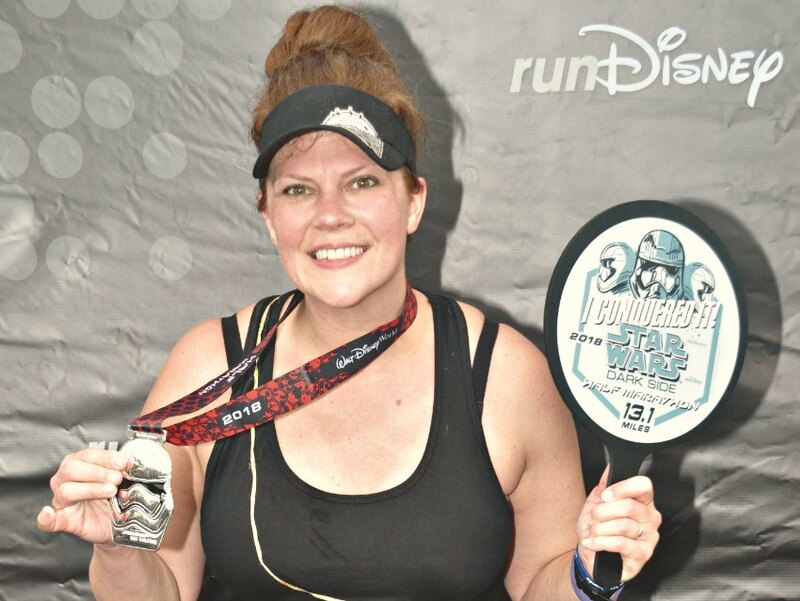 In the span of a few years I did a handful of 10k races and 4 half marathons, one of which was the inaugural Glass Slipper Challenge during Princess Half Marathon weekend in 2014 and then of course the Star Wars Half Marathon in 2018. For a non-athletic person like me, I am still pretty impressed even after all this time. I learned a lot about myself, my mind and my body during those years and I made lots of fun memories. And this isn’t to say I will never run again, but like most things in my life, this was a season. Maybe it will roll back around again, maybe not. 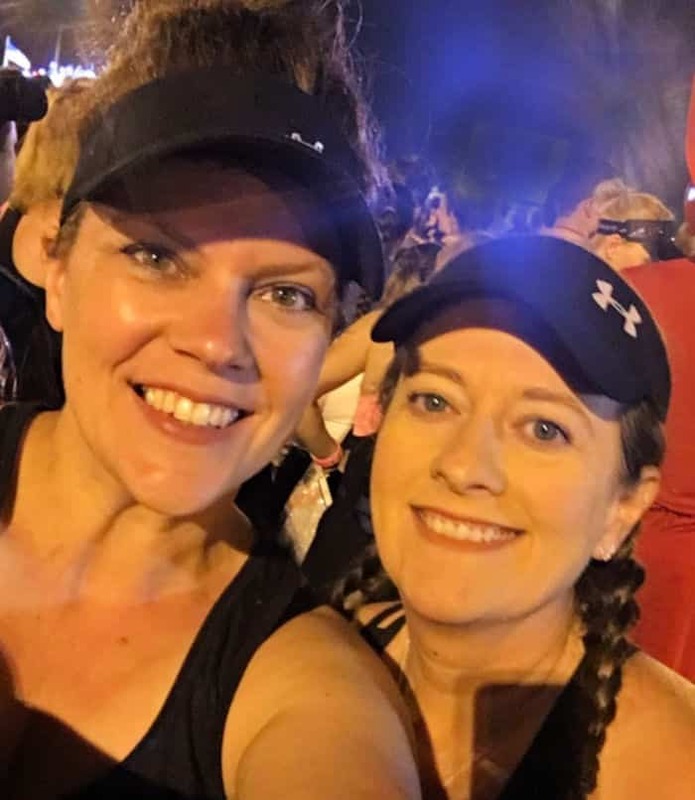 Tonight on WDW Event Chats Live (8:45pmET every Wednesday see you there), we’re chatting about all things runDisney so I thought it would be a great time to reminisce about my last (for now) runDisney race here on the blog. 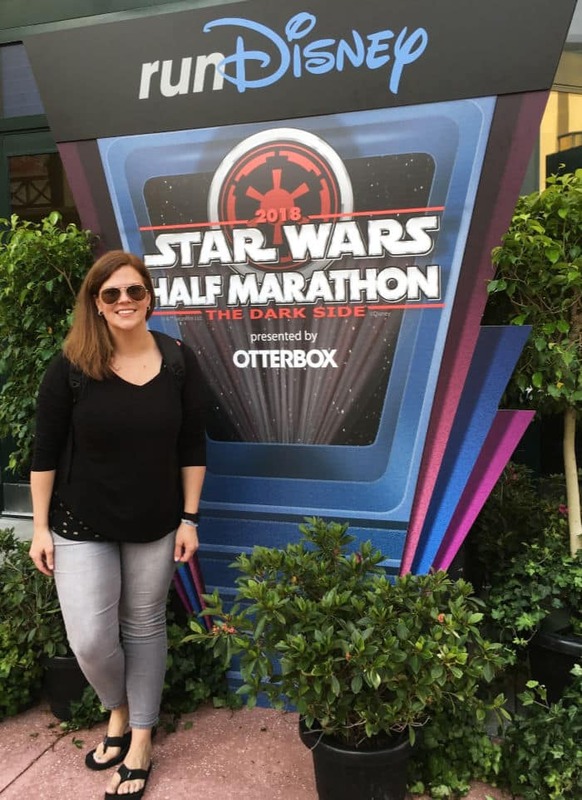 As we were prepping for this week’s live show, I realized that while I shared all about our awesome race weekend experience during Marathon Weekends at Hilton Orlando Bonnet Creek, I didn’t share specifically about my Star Wars Half Marathon experience. Did I mention it was super tough? Maybe I just needed some time. 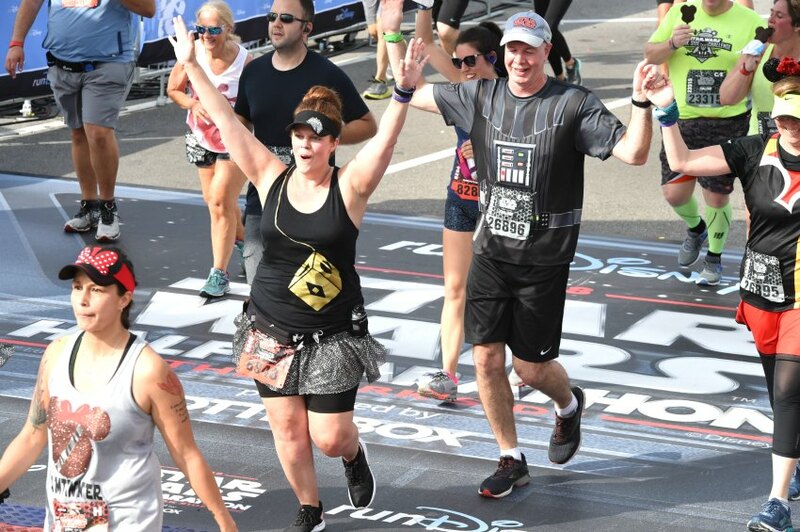 The Star Wars Half Marathon – The Dark Side has been renamed to the Star Wars Rival Run for 2019. Keep reading for the lowdown from last year’s race. You can’t show up to a runDisney race without first checking in at the race expo. This is where you pick up your bib and shirt(don’t forget your waiver and ID! ), shop for race-specific merchandise or stock up on running gear from vendors like NewBalance and Sparkle Skirts. And of course, you won’t want to miss the fun photo ops! 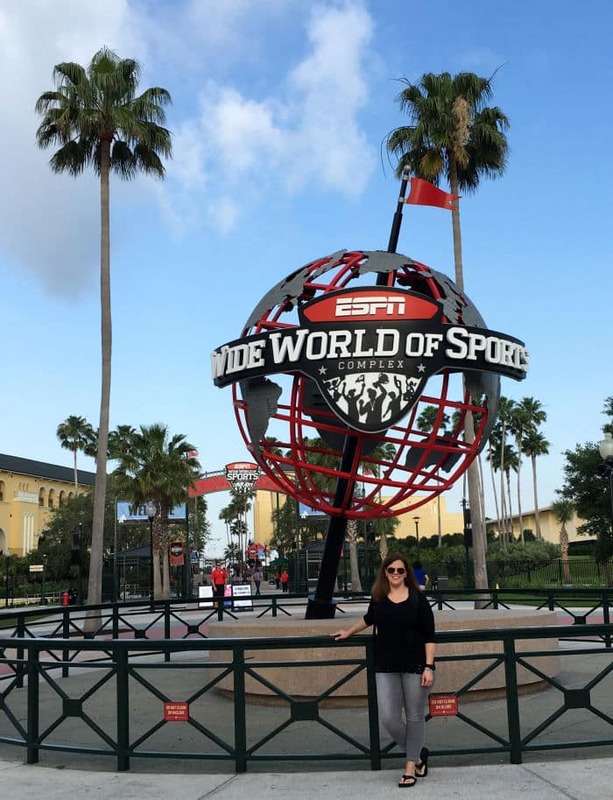 The expo is located at the ESPN Wide World of Sports Complex and there will be busses running from all the runDisney official hotels to the complex. You may also have access to a hotel shuttle if you’re off property depending on where you stay. Parking is available but can be tricky to navigate so keep that in mind if you have a car. These races have a lot of local participants who often drive as well. I don’t tend to spend a lot of time at the expo, but you could! There is a lot to see and do there and you could really make a day of it, or at the least spend a few hours shopping and hanging out. 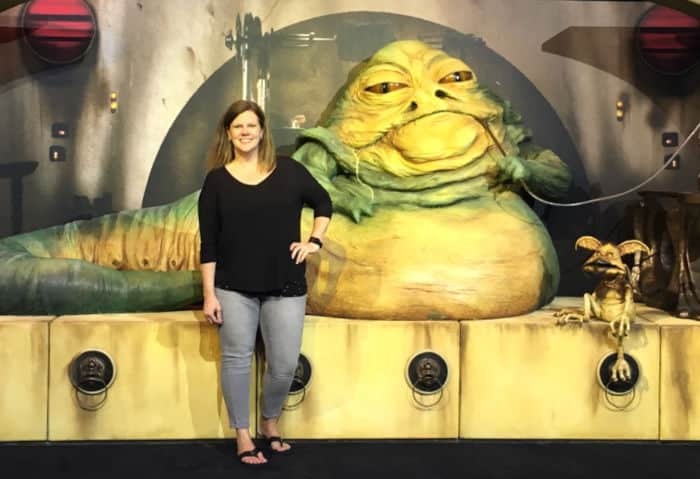 Once I got all checked in, I had to stop and get this Jabba the Hut pic. I mean you don’t just walk by Jabba without stopping guys. You don’t do it. The 2018 Star Wars Half Marathon course started in the parking lot of Magic Kingdom (though no running in the park), through Animal Kingdom (yes Pandora at dawn!) and Epcot and ended in the Epcot parking lot. Of course the park running is never as much as the road race part, but what I love about a runDisney race is the opportunity to stop for fun photos whenever you want. Yes, I love the pictures but if I’m being totally honest, I love the little breaks even more. 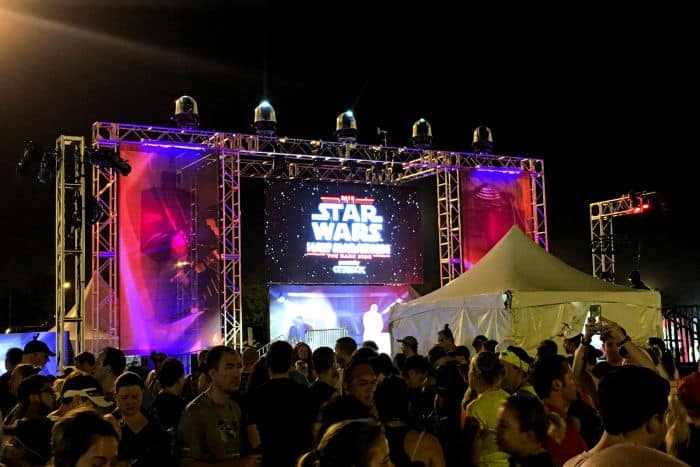 The 2019 course maps aren’t out yet, but if you want to take a look at last year’s races, check out Patty’s Star Wars half marathon guide and course map post. 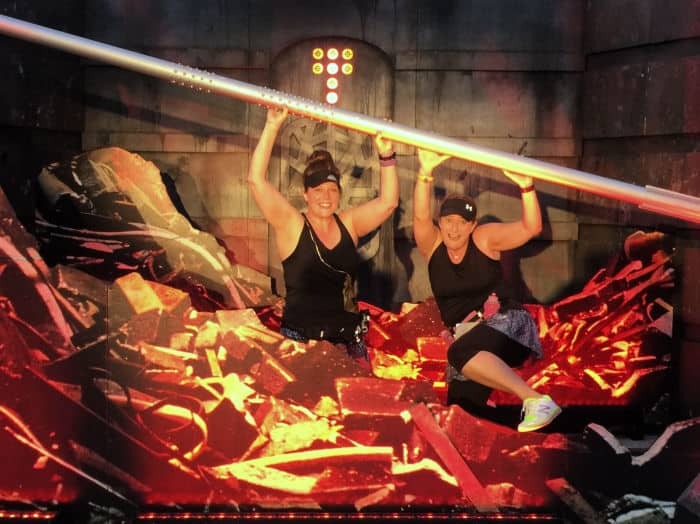 Aside from training and eating right, there are a few fun ways to prep for a runDisney race. I’m talking costumes, y’all. Because these races are themed (and you know I love a good theme), it’s always super fun to see what people come up with. 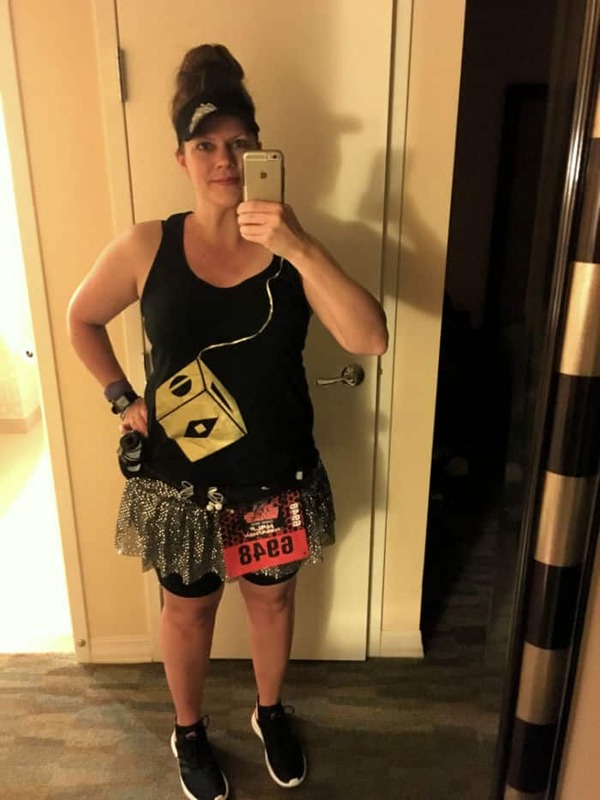 The 2018 Star Wars Half Marathon – The Dark Side race was coming in hot on the heels of The Last Jedi and just before SOLO was released in theaters so I was in full on Star Wars mode and ready for the challenge. Since this was sort of a last minute trip, I didn’t have much time to get super creative but I love my costume. It’s a little obscure and a lot comfortable, which is just the way I like it. 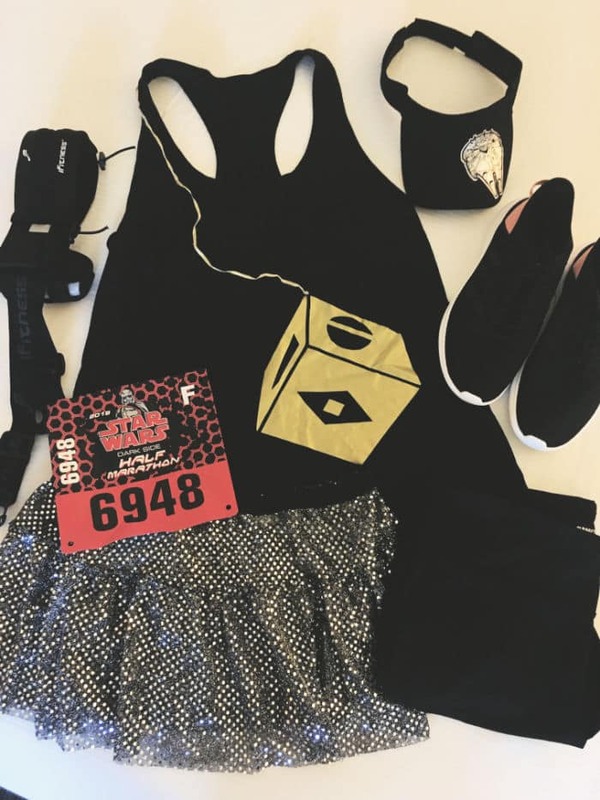 Wondering what to pack for a runDisney race weekend? Patty has you covered. Do you remember the scene in the Last Jedi when Luke hands Han’s dice to Leia? I decided to be the dice. You can’t see it in this photo, but the dice chain runs over my shoulder where the other half of the pair is on my back. My race costume was pretty easy to make (using iron-on vinyl) and tons of fun. I also added a Millenium Falcon patch to my visor to bring it all together. I love the way it turned out! Like I said, I was never supposed to run this race. But when things lined up for me at the last minute, I went for it. What I love most about runDisney is of course, being at Walt Disney World. It doesn’t take much to get me there so if I have to run a half marathon to make it happen, so be it. Bonus? I get a shiny medal (or three) to wear around the parks! But I’m not quite to the medal yet. I have to run first! My morning was off to a rocky start from the get go when I realized my phone didn’t charge at all overnight. So at 4am when I was heading to the race course with only 20% battery life I was getting pretty nervous. No music, no phone to take pics…no…. phone! Have you met me? This was a big deal. Thankfully, I had some pretty great friends on the course and we made it work! Before the race, I saw some of my fellow Disney Parks Moms Panelists and Kate (aka r2d2) let me charge up for a bit before the race started. During the race, I ran with my girl Amanda and she was able to get all the necessary pics. By the way, it was a HOT day in April so I’m not sad that there were only a few photos. I was a hot mess with a capital MESS. I felt pretty good for the first half of the race. Amanda and I were chatting and taking it easy using our favorite run-walk program from Jeff Galloway. That’s right! You don’t have to run the whole thing. In fact, you can even walk each race if you plan ahead. For the first few miles, the sun wasn’t quite up yet and my adrenaline was pumping. We got through Animal Kingdom and got to run through Pandora at dawn. It was so cool! We took a few pics but wanted to keep moving. I hit a hard wall after we left Animal Kingdom as the course seems to run all around (and around and around) the Animal Kingdom parking lot. I don’t know what it was but it seemed like there was no end in sight, ever! Once we got out of there it was pretty much smooth sailing until mile 12. Somewhere along the way, Amanda ran into her friend Kari and we became fast friends on the course. We still keep in touch to this day, which is so fun. Have you ever made a new friend during a half marathon? Thanks Amanda (and Disney)! It’s a good thing too because I needed all the friends I could get at mile 12. My feet were so ready to quit but my friends new and old pushed me to that finish line and I’ve never seen a more welcome sight! I even managed to hobble over to get a finisher pic. 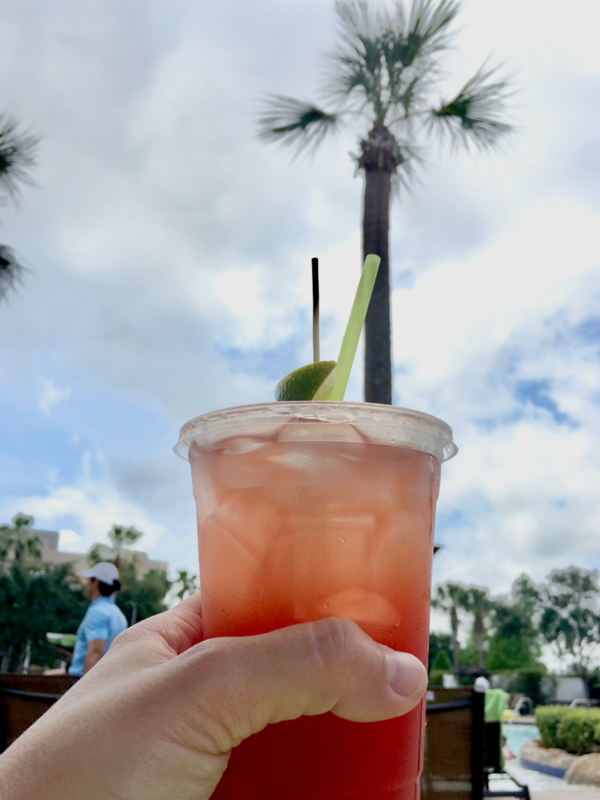 It was a long walk back to my shuttle but after a nice long shower and drinks at the pool I was ready to celebrate at the Magic Kingdom. What a reward for all that hard work! I can’t think of a better place to celebrate. So will I ever do another runDisney race? Probably. But for today I’m satisfied with my fun memories. 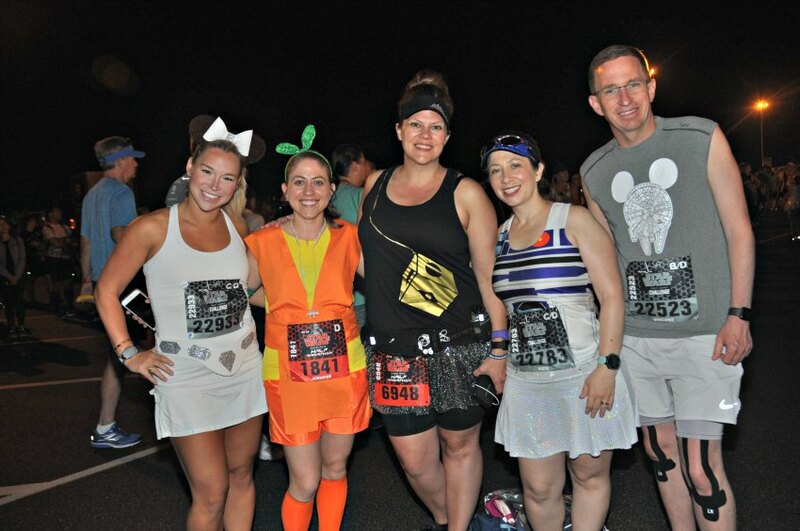 If you want to try the 2019 Star Wars Half Marathon Rival Run Weekend, there are still spots available for most of the races so check out the event page for more details. Bonus tip: Make sure to bring comfortable shoes for post-race! These are the best shoes for standing all day if you ask me. Want to know even more about runDisney races? Be sure to join us tonight on WDW Event Chats Live at 8:45PM ET! More about the show and our WDW Event Chats Live hosts here!